Over the past few months, speculation over whether Galen Rupp would compete in the US Olympic Marathon trials was to be seen everywhere. The result of these trials on 13th February, showed that this speculation was for good reason, with Rupp running away with the race, winning the trials and being selected for Rio, running a debut marathon of 2:11:12. The last few years felt as if Rupp had subconsciously admitted that he didn’t have the raw speed to stay with the Africans (and Mo Farah) over the last 400m in a 5000m race. Despite saying this, he has run a 3:50.92 indoor mile, as well as managed a 53 second last lap to claim 10,000m gold in London, 2012. But having finished 5th in both distance races in Beijing last summer, it has been felt that he may not have the ability to hang on over the ever increasing pace of the last few laps. This led to many ideas being suggested of Rupp making a move up to the marathon. Some would say this movie would be too soon as he still has great track potential, however with more and more young Africans making their way through the ranks and competing at a higher level, the number of possible competitive Olympics left for Rupp are numbered. Subsequently, it was announced by Rupp in collaboration with USATF, that he would compete in the US Olympic Marathon trials, attempting to make himself available for the Rio Olympics and be selected for the marathon. This announcement was made via an interview with USATF where Rupp highlighted his possible plans throughout there 2016 season. Here, he said that the 10,000m was still he primary target, looking to still leave his mark on this event, despite still having to compete with the likes of Mo Farah and Geoffrey Kamworor. ICYMI: @g_rupp will compete at #LA2016. We chatted with him for the full story. There are eight days between the 10,000m final and the marathon final out in Rio, leaving the possibility of a 10km, marathon double open and ever more promising to Rupp. The interview also stated that the 5000m was still not off the cards, however due to the recent events of the trials themselves, this looks to be considerable less likely. For every athlete competing, the Olympic trials are to be the biggest race of their career – barring that of the Olympics themselves if they are to make it that far. 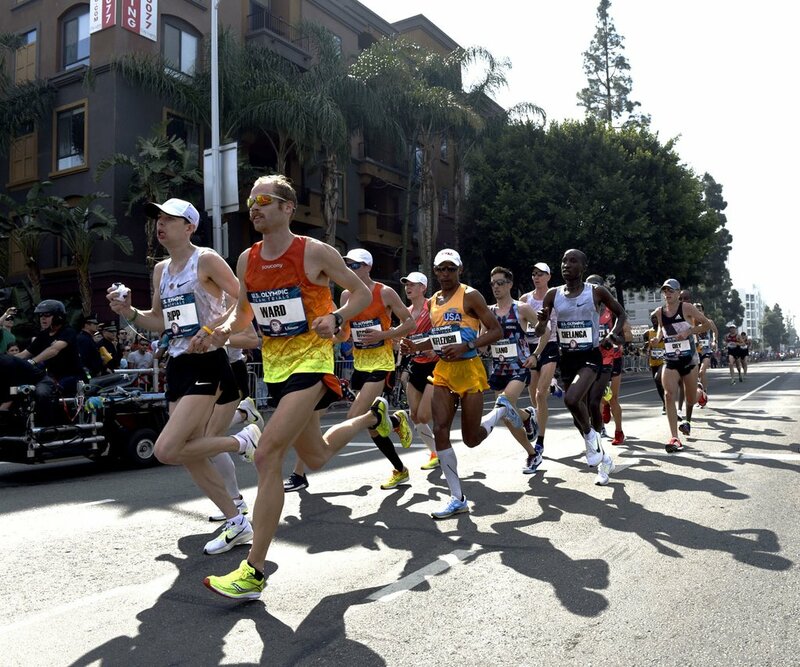 This meant that there was excessive build up for this formidable race in the heart of Los Angeles. There looked to be many runners in the race who could gain the top three placing, but anything can happen on the day and you can never predict the result. Going into the race before the addition of Rupp, the likes of Meb Keflezighi, Dathan Ritzenhein and Luke Puskedra all were contenders for the top places; however racing in 85.F heat would cause many problems throughout the race. This was seen foremost by Ritz who had to drop out in the later stages due to cramps; his failed failed Olympic marathon attempt may not go to waste however as a similar scenario occurred in 2012 where he also failed to make the team. There is still a chance he could return int he 10km later on in the summer and make the team for this distance, just as he did successfully in 2012. This is something Puskedra may look to do also having finished in 4th in LA; as with Ritz, Puskedra is a former Oregon Project runner and may look to join Ritz in this move for the 10km. The top three places were fairly settled on the day. Rupp (2:11:12) coming in first, followed by Meb (2:12:20) and Jared Ward (2:13:00) in third. Throughout the race, Rupp certainly looked the most relaxed, sitting on the shoulder of Meb after his decisive break at about 90 minutes in. Here there looked to be only one winner with Meb certainly straining to maintain his effort. 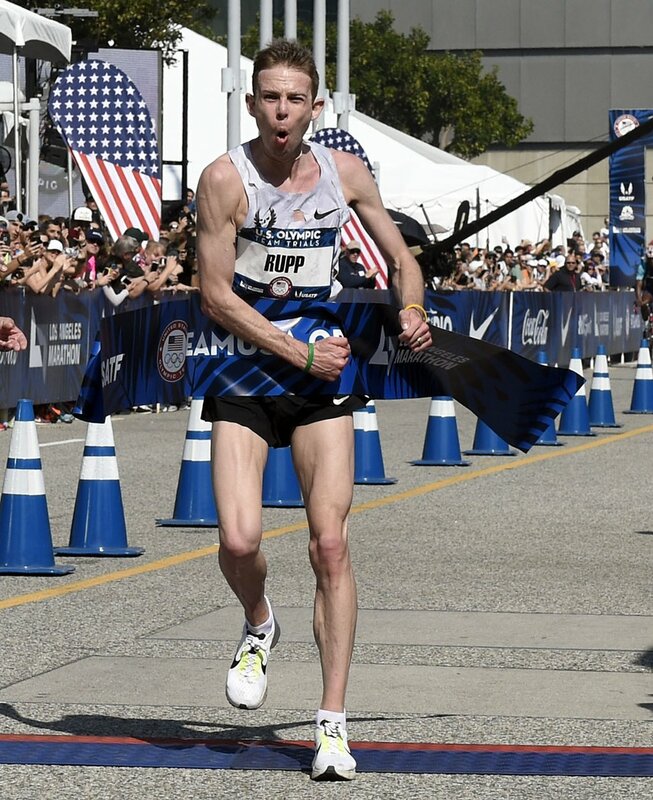 A number of sub 5:00 miles were thrown in and Rupp seemingly jogged away from Meb over the last few miles, taking a dominant victory. This could have almost inevitably been predicted by those close to Rupp and with knowledge of recent training. Mid race, it was announced by commentator Tim Hutchings that Rupp had recently run a 20 mile tempo run, averaging a pace of 4:50 min/ mile with his heart rate never increasing above 150 bpm. If this to be true, it is of an incredible level, indicating the shape Rupp is in and his future marathon potential. On this note of his potential, it was reported that Alberto Salazar (Galen Rupp’s coach) believed Rupp to be a 2:05 marathon runner, a time which would certainly put him up there with the worlds most elite runners. So, with Rupp having shown us that he is the real deal over the 26.2 mile distance, and if he is to choose to run the marathon in Rio, he must now been seen as a genuine contender for a medal. This is of course the reason why Rupp has looked to move upon in distance earlier than initially planned, and if Salazar is correct in predicting that he has the capability of running 2:05, it really puts him right up there for being competitive in any style of race. Rupp is certainly renowned for his 10,000m ability, having run an AR of 26:44.36 meaning his top end speed and strength towards the end of a race is definitely there. This means that if Rupp is still there with the leaders with only a few miles to go, you would be mad to better against him in that situation. 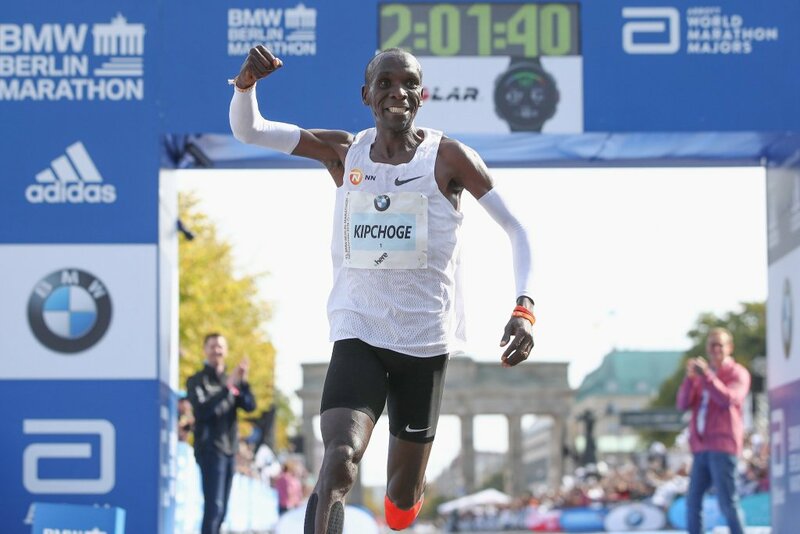 The likes of Eliud Kipchoge would be one of the biggest threats in this situation, but would inevitably be a close contest. 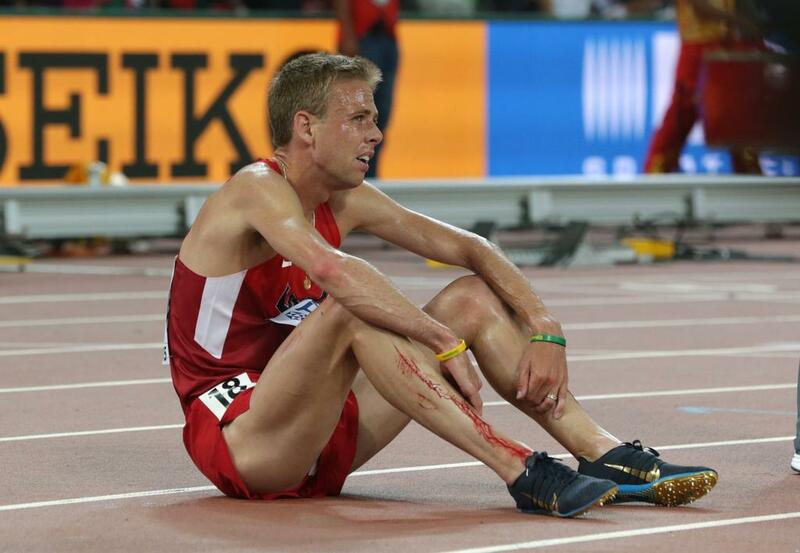 Rupp may have toned down the great deals of gym work which the Oregon Project athletes have become renewed for so his top end speed may not be what it used to be. Although having said that, running the 3000m indoors at the upcoming World Indoor Championships in Oregon will certainly help and maybe give us a further indicator to what we can expect from Rupp this coming summer.